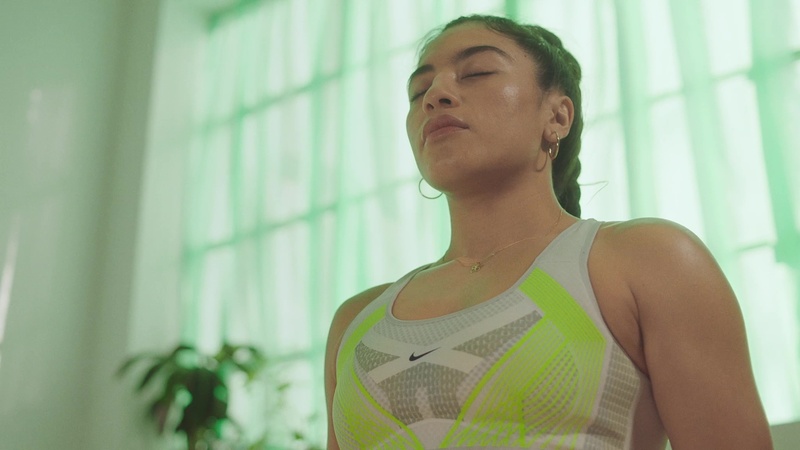 In a new film commissioned by Nike as part of its global push celebrating women in sport ahead of the Women’s World Cup this summer, director Eloise King of PRETTYBIRD UK depicts featured artist Belen Leroux in a dream-like sequence set to a commissioned poem written and performed by Abondance Matanda, with an original music composition by Asriel Hayes. Promoting Nike’s FK FEnom Bra, the film evokes a dream beginning with Leroux waking up and working out with a diverse group of women. The workout morphs into a surreal dance exploring the infinite luxury of movement, set to an other worldly delivery of “We’ve Always Done It’.